The art and people of the medieval world provide interesting food for thought. Precious works of art, manuscripts and diaries from the period, provide a wealth of information about our fascinating ancestors. Frances Spiegel is also interested in travel and is the author of Ride the Rocket - Toronto Enabled, a humorous autobiographical guide to Toronto. I write for all sorts of sites but Infobarrel is definitely the best. If you'd like to join me sign up here. The North French Miscellany is a magnificent work of medieval art and probably the most important Hebrew manuscript at the British Library. It has 84 different groups of text as well as hundreds of poems reflecting the tastes of its medieval patron, all written in the most beautiful calligraphy. The manuscript attracts calligraphers and historians from around the world. 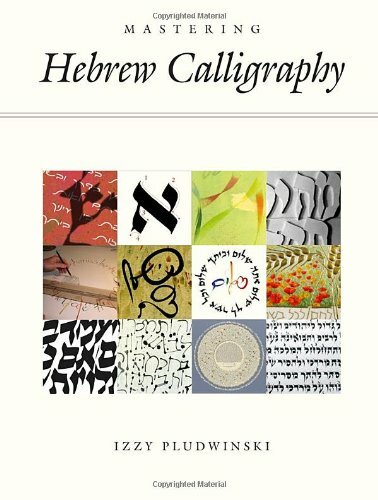 The Miscellany contains the most important Jewish texts: the Pentateuch and Haftarot (readings from the Prophets) and the Song of Songs, together with many biblical texts and prayers such as those for Rosh Hashanah and Yom Kippur. It also gives guidance on rituals regarding marriage, divorce and even business partnerships! The volume contains the Hebrew version of the Book of Tobit, an extremely rare text in medieval manuscripts. Every page is a work of art showing great skill and a fine sense of humour. The manuscript has travelled Europe and has a long and fascinating history, and thanks to a collaboration between the British Library and London publishers Facsimile Editions a limited edition facsimile has been produced. Researchers have established that the manuscript originated in northeast France, in the region of Picardy-Artois. Contextual and pictorial evidence puts it between 1278 and 1280. At this time Philip III was king of France, having succeeded his father, Louis IX (Saint Louis), in 1270. Louis IX enjoyed an exceedingly long reign, (1226-70) during which time he imposed increasingly severe restrictions on the Jewish community. A decree of 1219 forced Jews to wear the Jewish badge, the rouelle. Philip imposed additional restrictions on the Jewish community when he enacted a further decree in 1277 forcing all Jews to wear the horned, or "Jew's" Hat, in addition to the rouelle. So the highly visual hats and badges, the product of a decree of the previous year, have set the manuscript's date between 1278 and 1280. In Folio 114r Aaron is portrayed wearing the 'Jew's' Hat. The manuscript's date of origin is further confirmed by the inclusion of the earliest known copy of Isaac de Corbeil's Sefer Mitsvot Katan, a legal code composed in or around 1277. Following its creation, the manuscript probably left France during a period of increasing Jewish persecution in 1306. It had reached Mestre in Italy by 1479 and eventually found its way to Venice. No one knows for sure what happened to the manuscript between 1479 and 1784. Catherine de Medici, Louis XIV, Cardinal Richelieu and Henry IV were all avid collectors of Hebrew manuscripts and perhaps the manuscript was owned by one of these. We may never know. It was eventually purchased by the British Museum where it became Additional Manuscript 11639 and is now the most important manuscript in the British Library's Hebrew manuscript collection. After several years of negotiation the British Library has permitted a facsimile edition to be produced to the highest possible standards by world leaders in this field, Michael and Linda Falter of Facsimile Editions, London. The manuscript's history is long and fascinating and there is considerable debate over who performed the original copying – the calligraphy is extremely good. Some researchers believe Benjamin the Scribe, a Jewish artist working in northeast France in about 1280, was the sole copyist and that he created the manuscript for his own personal use. The photograph Folio 306v shows his signature. Benjamin must have been extremely wealthy since the finest artists were employed and no expense spared. It seems inconceivable that a sole scribe could afford to create so sumptuous a volume. Many Jews of the time manufactured silk, sold cloth or made wine from their own vines, so perhaps Benjamin was a wealthy merchant. It is interesting that Benjamin, having indicated in his colophon that he was the sole scribe, allows us no insight as to who the patron, if there was one, could have been. A sense of humour is reflected throughout the manuscript, with almost all of its 1,494 pages illuminated (that is decorated with gold or silver) and illustrated with grotesques (peculiar characters), flowers, animals, fishes and birds in the style of the High Gothic period. 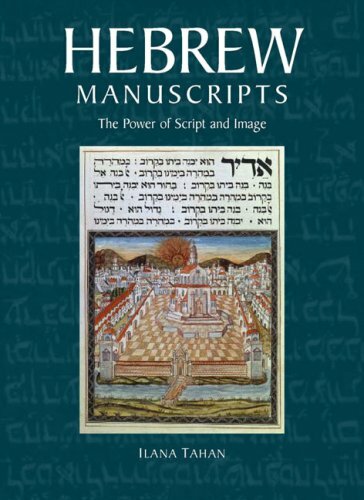 The Miscellany shows the extremely high standards achieved by the creators of Ashkenazi Hebrew manuscripts at this time. Folio 354v is magnificent. The page is divided into three columns, one of which is enclosed within a highly decorated border, populated by angels, winged animals and grotesques, popular in gothic art of the period. Important words are enlarged to double line height and heavily underlined with gold embossments. In the third column a gilded heading emerges from the mouth of a fictitious animal. Folio 354v E provides close-up details of enlarged letters within the box. Folio 521v depicts the Binding of Isaac (Genesis 22:9-12). Isaac sits on a raised altar of gold with his left leg and hand bound together. Abraham holds the knife aloft ready to strike but the angel restrains him, and points to the ram concealed in the bushes. The entire story is enclosed within a gilded medallion. Folio 521v depicts Isaac with left hand and leg bound together. Abraham holds up a knife but is restrained by the angel. Folio 522r, the Tabernacle Implements, is also presented within a gold medallion. The Ark of Covenant is flanked by two cherubim. At the bottom of the picture is the Table of Shewbread. To the right is the jar of manna. This is a very rare depiction of the Tabernacle implements and so far as is known does not appear anywhere else in Ashkenazi manuscripts. It comes from the tradition of Spanish bibles. It is impossible to examine every aspect of the manuscript's superb calligraphy in a short article, so I have selected a few samples that will be of special interest to calligraphers. The first is the enclosed text box on Folio 142v. Six lines of text are enlarged and heavily gilded to stress their importance. The box itself is red, encased in blue. Another fascinating page is Folio 152v. This is a very complex page where the central lavishly decorated text is accompanied by text running both vertically and horizontally in a brick-like formation on the outer edge and the bottom of the page. Hundreds of minute decorations appear in the manuscript. On Folio 295r the text is announced by a very strange creature that appears to have a duck's beak on a dog's face, two bird's feet, four other legs and two horse legs at the rear plus a plumed tail! The text is so important that each word is enclosed within its own gilded box. Facsimile Editions London, world-class publishers have, after long negotiations with the British Library, been permitted to create a limited facsimile edition – only 360 copies – of the North French Miscellany. British Library experts prepared the manuscript and each page was photographed individually. Great care was taken to ensure exact colour matching between the original and the facsimile. Up to ten colours are used in the lithographic process. The facsimile is printed on uncoated, neutral pH vegetable parchment which was specially prepared so as to be identical in weight and thickness to the original skins. The raised burnished gold and silver leaf of the original has been applied by hand to each page. After gilding each folio has been cut to match the original and aged where necessary. Any natural holes present on the original skins have also been reproduced. The facsimile comes with a companion volume containing articles commissioned from the world's leading experts. They provide in-depth examinations and explanations of all the texts and many other vital facts relating to the manuscript's original creation. This is the most thorough study of the Miscellany undertaken to date. With contents so numerous and varied perhaps the North French Miscellany should be regarded as a whole library rather than a single book. The fact that it survived at all is nothing short of a miracle, since it came from a period when hundreds of Jews were massacred and countless Jewish books were burnt. Perhaps this was due to its size. This little treasure, a tribute to High Gothic art, is only 16½ x 12½ cm (6½" x 5½") and maybe this allowed it to be secreted away. Thanks to Michael and Linda Falter of Facsime Editions London and staff at the British Library who helped me so much in the preparation of this article.